A longtime Las Vegas Strip and cruise ship entertainer is suing both Nye and Lyon counties after an unexplained series of events following his arrest back in late 2016. Thinkstock The case has generated a lawsuit against both Nye and Lyon counties. The incident occurred in 2016. The lawsuit was filed in federal court in Nevada. Selwyn Harris/Pahrump Valley Times Reno, Nevada Attorney Terri Keyser-Cooper filed the complaint on behalf of her client Sean Laughlin in the United States District Court, District of Nevada earlier this month. The 31 page complaint seeks unspecified damages. The lawsuit, filed in the United States District Court, District of Nevada, by Reno Attorney Terri Keyser-Cooper, claims Lyon County resident Sean Laughlin’s rights were violated by being denied his constitutional due process, requiring jailed suspects to see a judge within 72 hours. Nye County officials and the Lyon County Sheriff’s Office declined to comment on the matter. Laughlin just happens to share the same name of a Pahrump resident who was arrested on burglary charges in March of 2016. As stated in the complaint, Keyser-Cooper said her 56-year-old client’s situation began on Dec. 12, 2016 when Laughlin was stopped for a minor traffic infraction in Carson City. “A routine warrant check revealed he was wanted for the crime of failure to appear on a burglary charge out of Pahrump, Nevada, a small town he has not heard of or been to,” Keyser-Cooper stated in the 31-page complaint. Though Laughlin told the trooper that he had no criminal record, had never been to Pahrump, or received a summons to appear in court, he was still arrested at gunpoint and booked into the Lyon County jail, where he remained incarcerated for 13 days, according to the complaint. Keyser-Cooper also questioned her client’s unusually high bail amount, for the burglary arrest. Initially, the bench warrant was set at $450,000, but it was inexplicably raised to $675,000, according to the complaint. The estimated value of the items stolen in the burglary totaled roughly $3,800. Throughout his 18-day incarceration, Keyser-Cooper’s complaint stated that her client repeatedly protested to jail staff, fellow inmates, or “anyone who would listen,” according to the lawsuit. What was going on, according to the lawsuit, was the fact that Laughlin, a resident of Silver City, in Lyon County, also performs as a comedian on a cruise ship, and just happens to share the same name of Pahrump resident Sean Laughlin, who at the time resided at 621 Jarvis Road, according to the complaint. Additionally, Keyser-Cooper noted that Pahrump resident Sean Laughlin was, in fact, the man arrested on the burglary charges, and failed to appear in court. According to the lawsuit, the burglary occurred between March 4th and 14th, back in 2016. Additionally, the Keyser-Cooper noted that after the cruise, her client remained in Australia to await his next contractual obligation with Royal Caribbean. 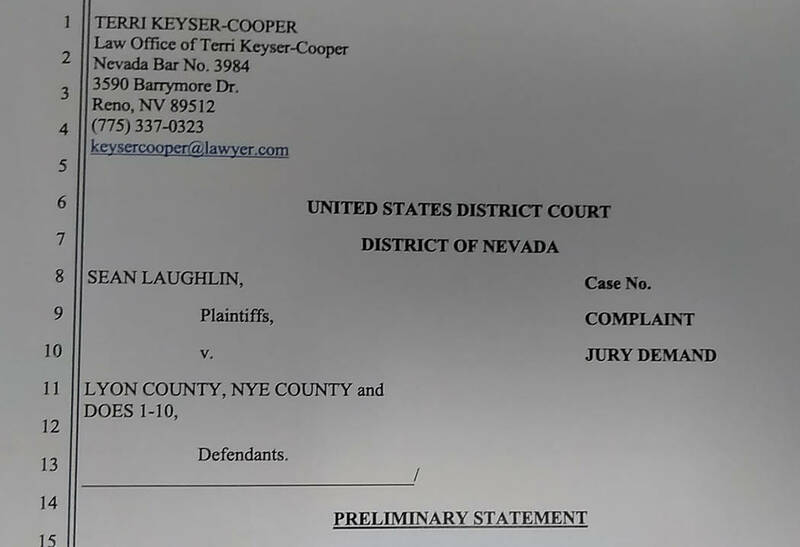 Moreover, Keyser-Cooper contends that law enforcement officers in Lyon and Nye County did not perform their due diligence in attempting to identify the actual man arrested for the burglary in Pahrump. After spending 13 days in the Lyon County Jail, Keyser-Cooper’s client was transferred to the Nye County Detention Center in Pahrump, according to the complaint. After roughly five days in the Nye County Detention Center, Keyser-Cooper said her client was eventually released from custody. 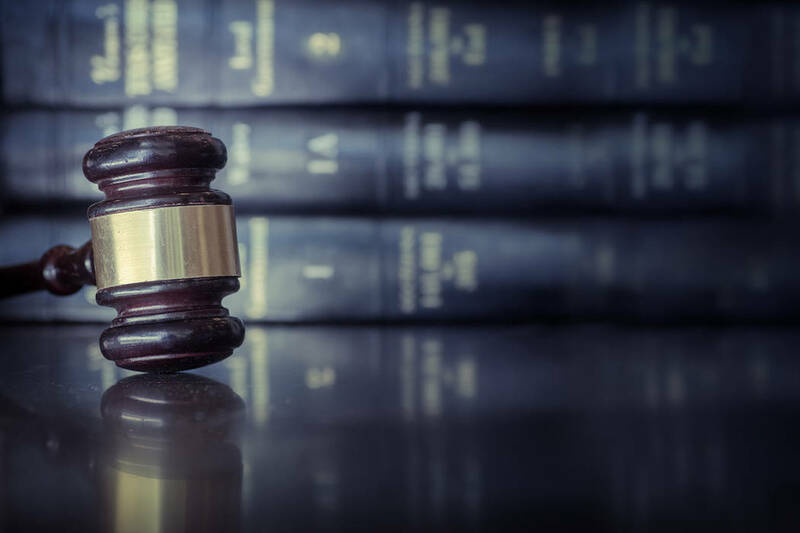 Keyser-Cooper did not specify what kind of general, special or punitive damages she is seeking for her client in the complaint.